Subglottic stenosis (SGS) remains a difficult therapeutic problem for the interventional pulmonologist. It may be classified as congenital or acquired. Acquired causes frequently result from iatrogenic injuries. Further etiologies include tumors, infections, and rare diseases such as Wegener’s granulomatosis, relapsing polychondritis, and amyloidosis. Bronchoscopy is the primary procedure for the diagnostic and pre-interventional evaluation of these patients. Laser resection, dilatation, local adjuvant drugs, and airway stents have been used individually or in combination to manage SGS. Endoscopic treatment has a high success rate in simple low-grade stenoses and constitutes a valid option for patients that are unsuitable candidates for surgery. Complex stenoses often require a multidisciplinary approach. There is no universally accepted treatment strategy that consistently relieves symptoms and avoids recurrence in all patients. Management must be individualized according to pathological findings and the patient’s health status. 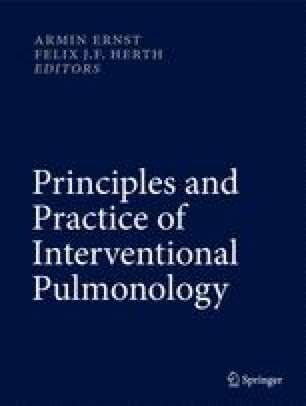 Current minimally invasive techniques performed wisely and proficiently allow the interventional pulmonologist to overcome most problems related to SGS.